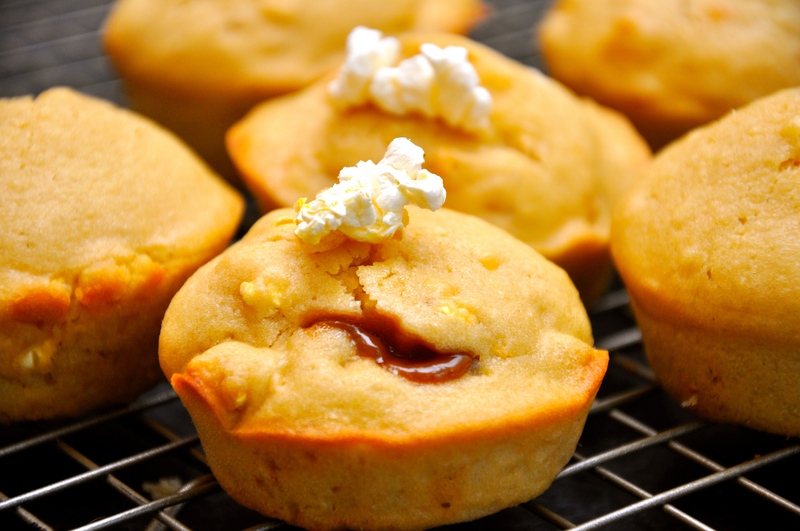 As if “popcorn” is not the epitome of flavors, this buttered popcorn muffin is oozing with a creamy caramel center. The recipe blends the salt of popcorn with the sweetness of Dulce de Leche. 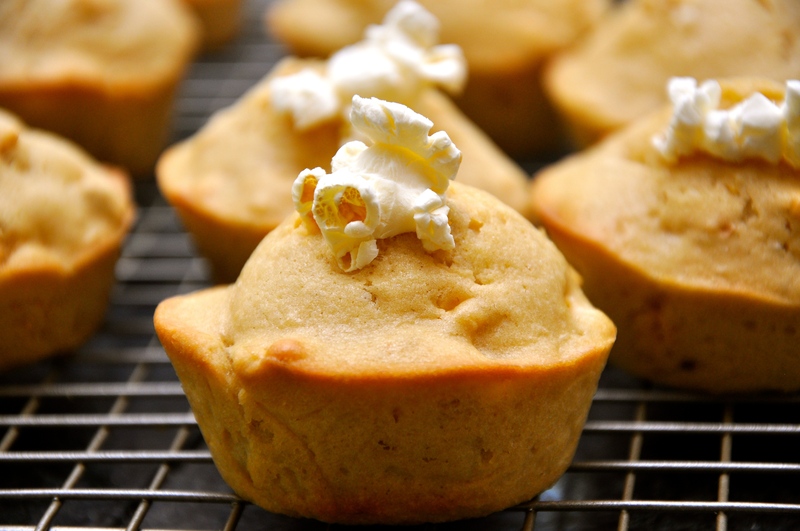 These muffins are made with air-popped popcorn. Make a double batch for your Super Bowl gathering or movie night. Serve for an after-school or midnight snack. 2. In a large mixing bowl, combine flour, sugar, baking powder, and salt. 3. In a separate mixing bowl, whisk eggs, milk, vanilla and butter. 4. Pour wet ingredients over the dry mix. Stir until completely incorporated. 5. Fold in 3 cups of popcorn and stir (popcorn will break up into smaller pieces). 6. Fill muffin cups 1/3 full. Spoon 1tsp Dulce de Leche spread on each muffin cup and cover with the remaining batter. 7. 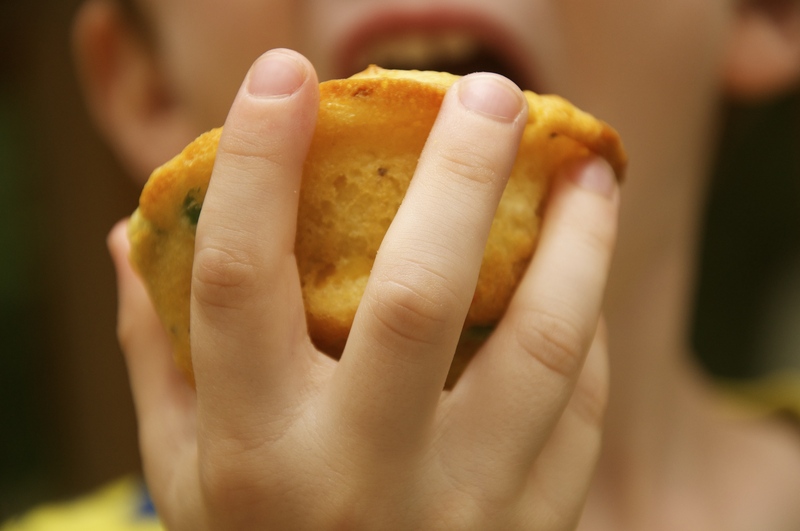 Place one piece of popcorn on the center of each muffin cup. 8. Bake for 15-18 minutes. These muffins were a pure experiment when I found myself with a limited time frame and a hungry husband and child. 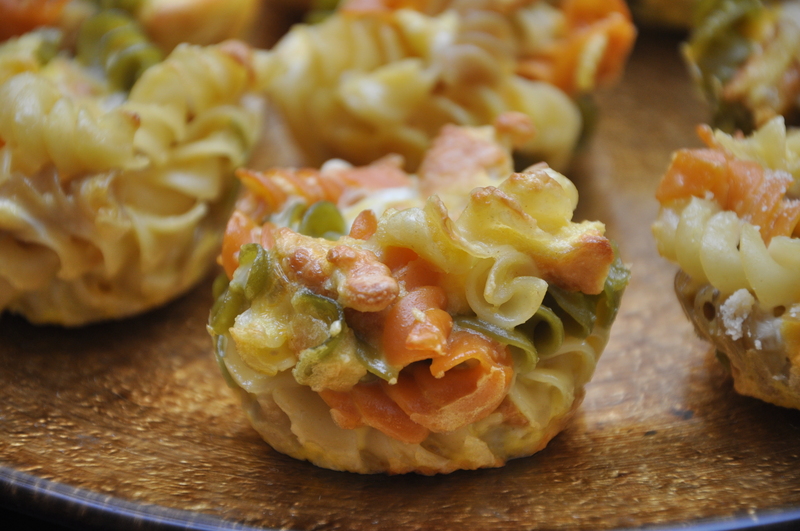 I snatched the leftover pasta and other ingredients, threw them together, plopped the mixture into muffin tins, and eight minutes later, I had two busy, delighted, and satiated boys. 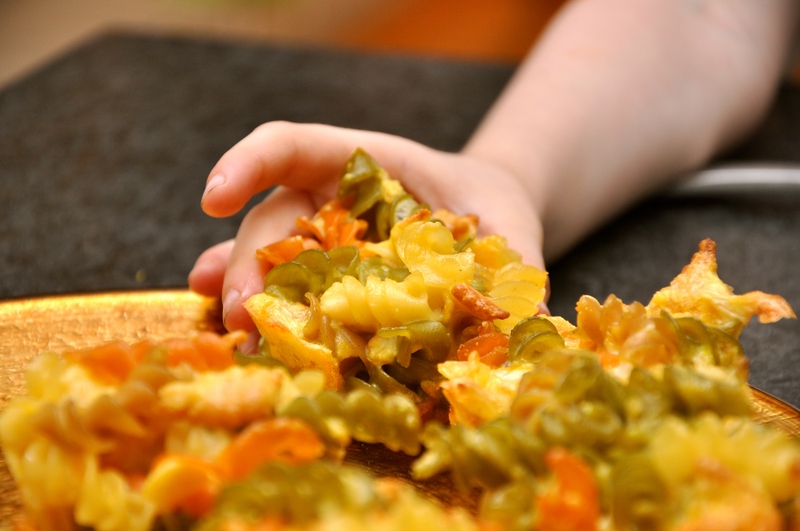 What a tasty way to recycle, and reformat, leftover pasta! This recipe is so easy and effortless to concoct. Once cooled, place these muffins in plastic bags and freeze and keep them stashed for later when they can be warmed up in a microwave in seconds flat. 7. Remove from tins, serve, and enjoy! Chicken Pot Pie is an especially comforting comfort food in the form of a muffin. 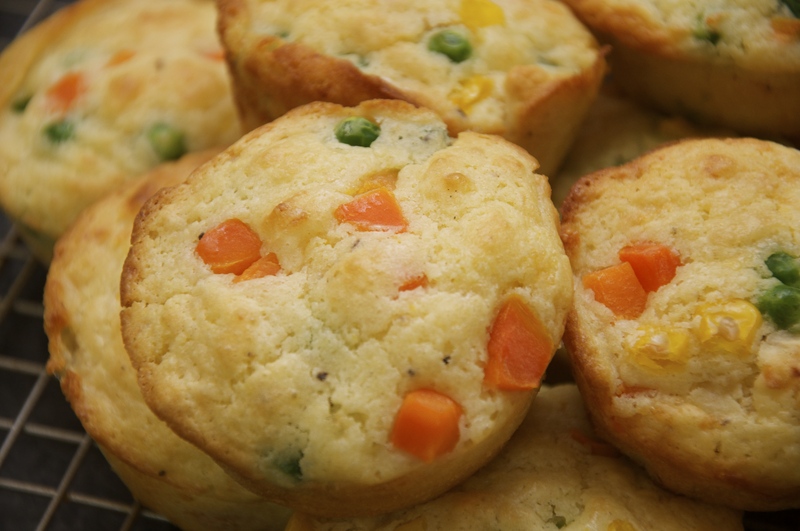 Even to those who did not grow up with the pot pie as a staple, these muffins are reminiscent of the moist buttery biscuit that generations of Americans have loved. This recipe is full of nutrients in the form of chicken, cheese and vegetables. The possibilities of vegetables are endless. 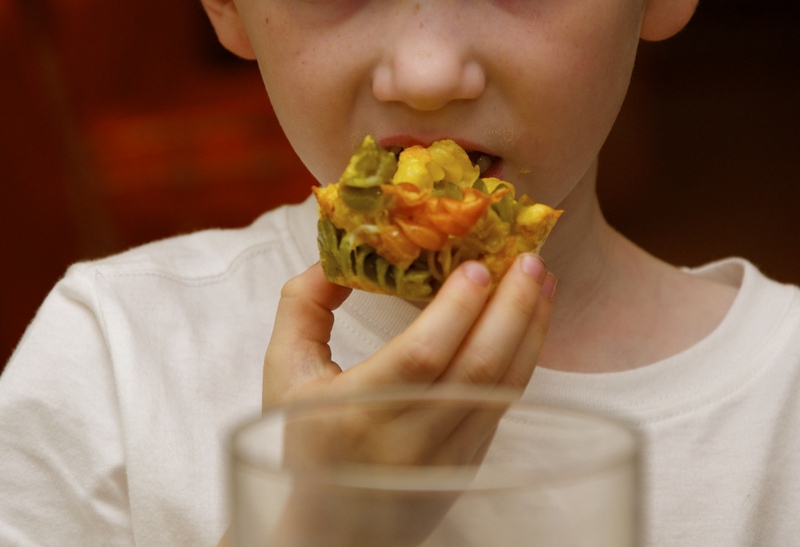 Go heavy on the peas if your kids love peas. 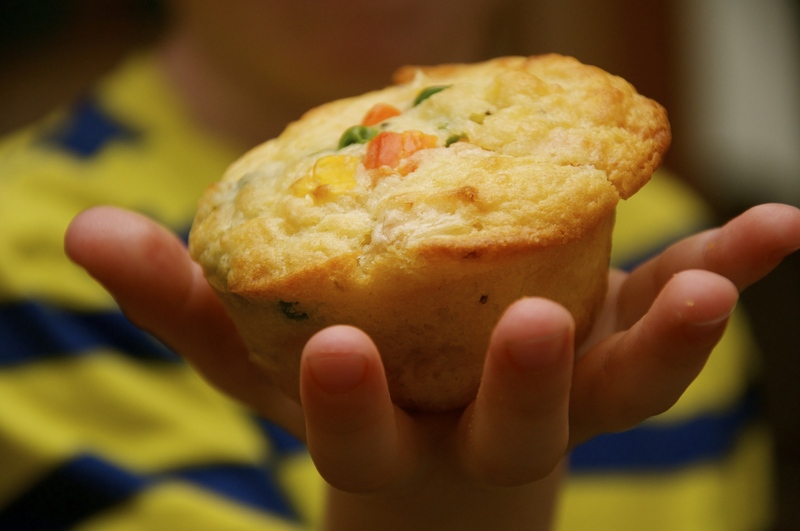 At first, my kids questioned the blatant vegetables on top, but the buttery flavor of the muffins won them over and I’m not sure they even realized the muffin was made of…chicken. 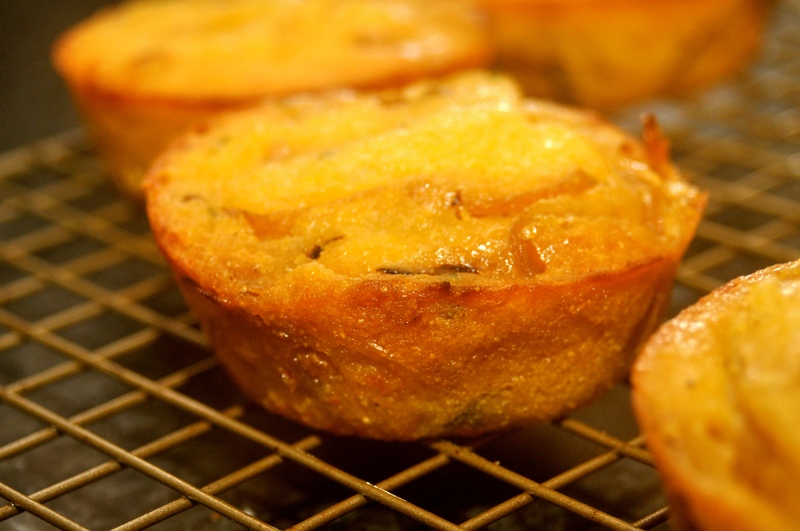 As these muffins come right out of the oven, rub a small pat of butter over the tops. 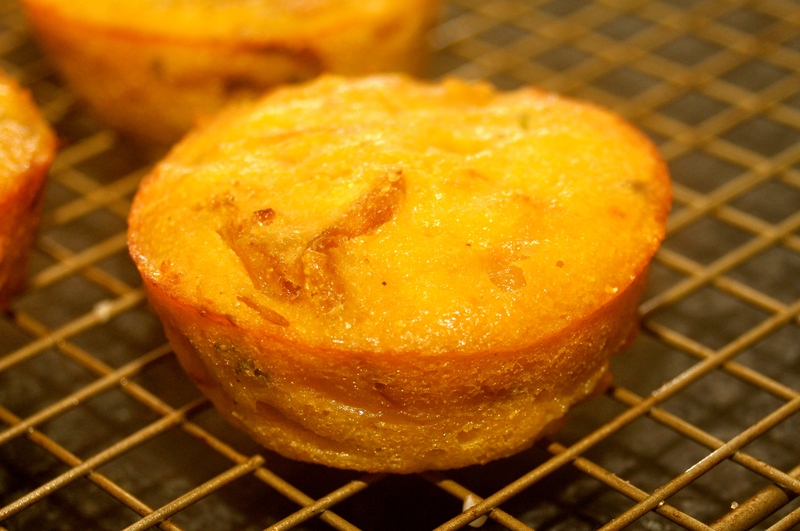 Serve these muffins warm from the oven with a pat of butter. Store leftovers in the refrigerator or freeze. 2. In a large mixing bowl, combine flour, baking powder, salt, and pepper. 3. In a separate large mixing bowl, whisk together the milk, egg, and butter. 4. Pour wet ingredients over dry ingredients and stir until just combined. 5. 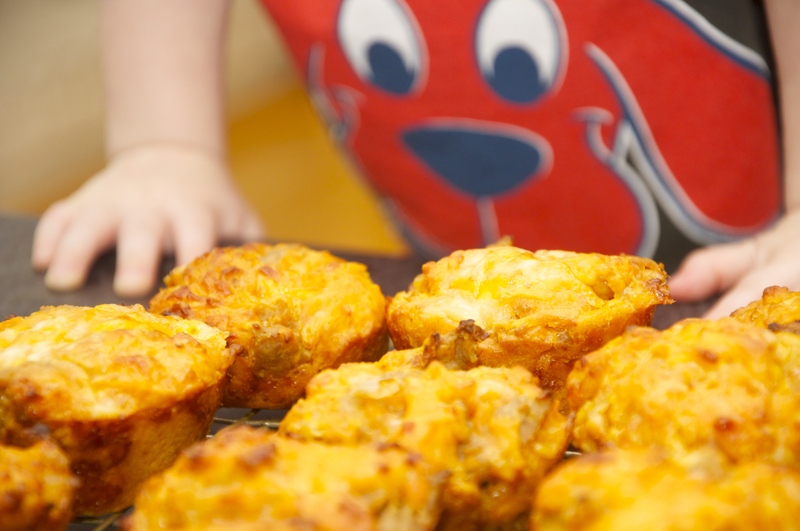 Fold in cheese, chicken, and vegetables (reserve about a tablespoon of vegetables for sprinkling on muffin tops). Do not over-mix batter or muffins will become hard. 6. 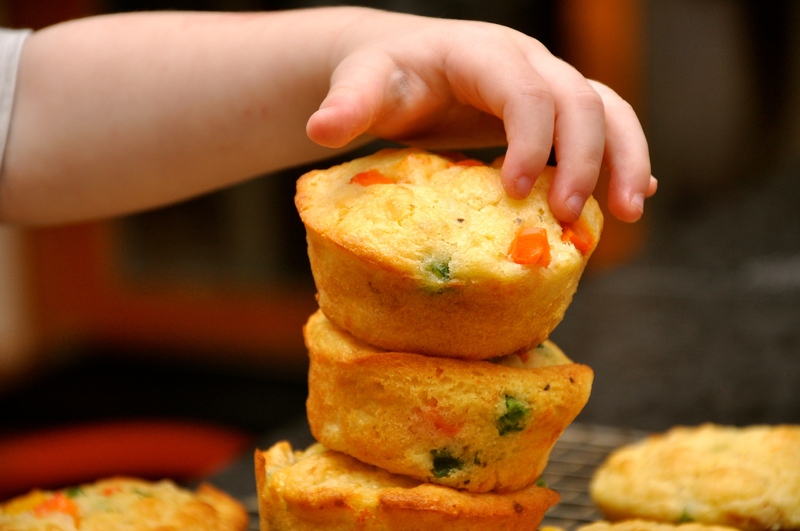 Distribute chicken mixture into the muffin-pan cups. 7. 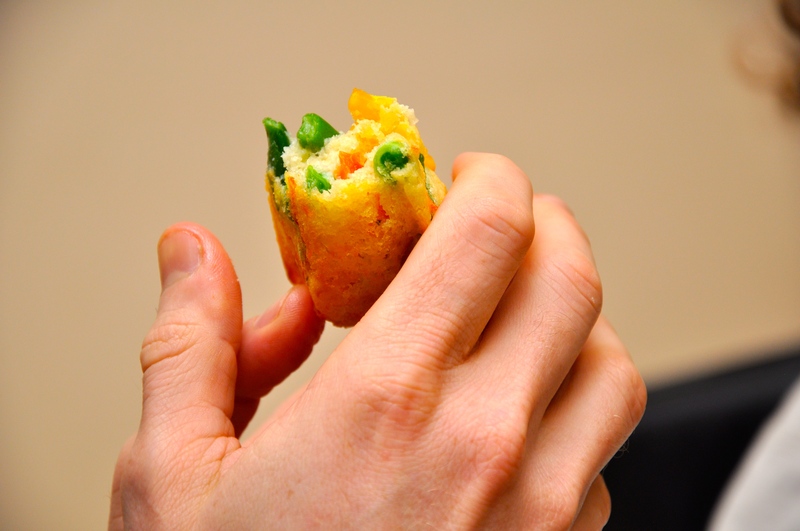 Sprinkle about a tablespoon of vegetables on tops of batter. 8. 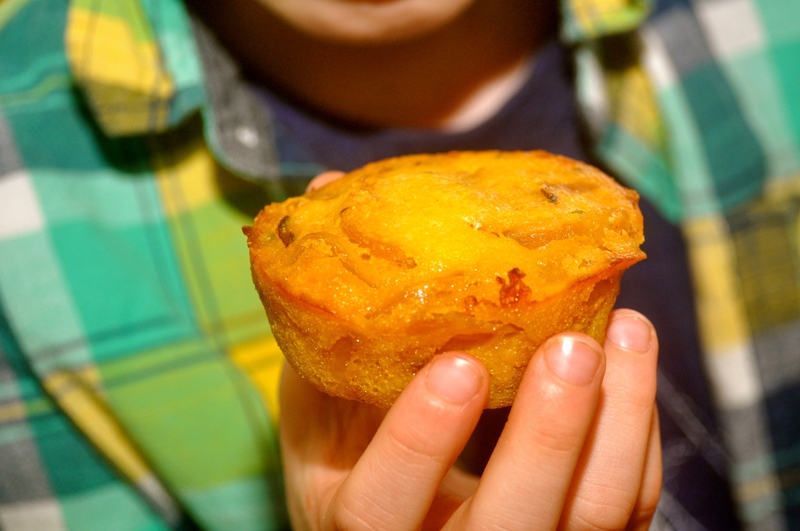 Bake for 25 minutes or until a toothpick inserted in the center of a muffin comes out clean. I grew up eating McDonald’s, so I consider it a supreme culinary accomplishment to recreate the perfect nuances of the McDonald’s cheeseburger in a compact, succulent muffin. This is the pinnacle. This muffin brings together the perfect combination of ketchup, mustard, cheddar, and a buttery-meat taste of what we all crave in a cheeseburger. You can substitute turkey for hamburger meat. Serve warm with a side of sliced pickles for a healthy version of a fast food childhood memory. 1. Preheat oven to 425 F. Grease muffin pan with cooking spray or line with paper liners. 2. In a large frying pan, cook beef and onion over medium heat until meat is no longer pink; drain. 3. In a mixing bowl, combine the flour, sugar, baking powder and salt. 4. In a separate mixing bowl, combine the ketchup, milk, butter, eggs, and mustard; stir into the dry ingredients just until moistened. 5. Fold in beef mixture and cheese. 6. 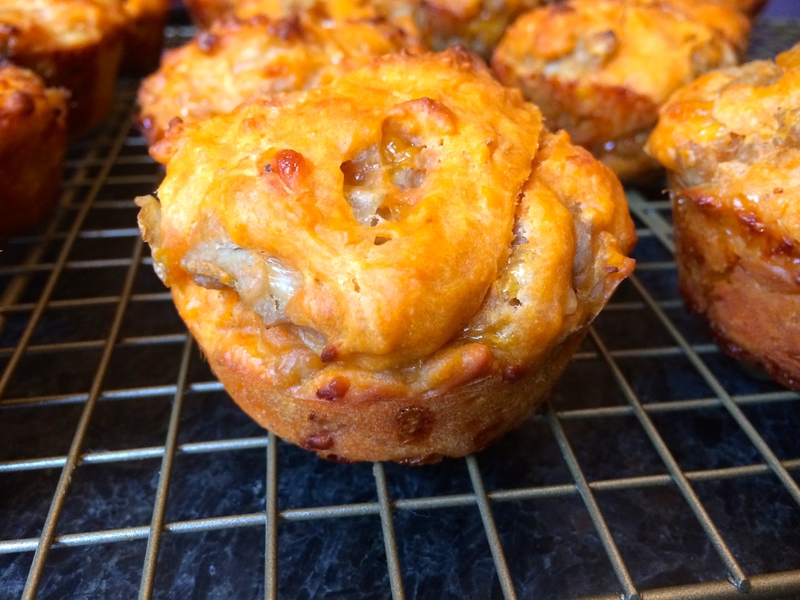 Distribute cheeseburger mixture into the muffin-pan cups, ¾ full. 7. Bake for 15-18 minutes or until a toothpick inserted into a muffin comes out clean. 8. Cool for 5 minutes before removing from pans to wire racks. In an attempt to tempt Michael to try spinach, I decided to mix the “loathed” vegetable with one of his favorite foods: eggs. Not only did he approve, but he gobbled down two! This recipe is also great for serving to last-minute company. 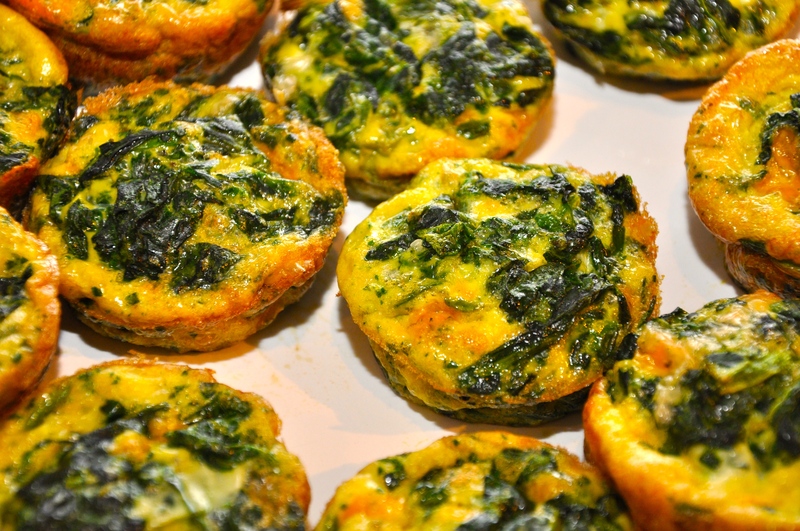 These individual, crustless quiches are perfect on-the-go meals. Whip up a batch (or two) on Sunday evening, and you have an easy go-to breakfast for busy weekday mornings. They’re also really versatile – this version features spinach and a combination of cheddar and mozzarella, but cooked broccoli and cheddar or crispy bacon can easily be substituted or added! 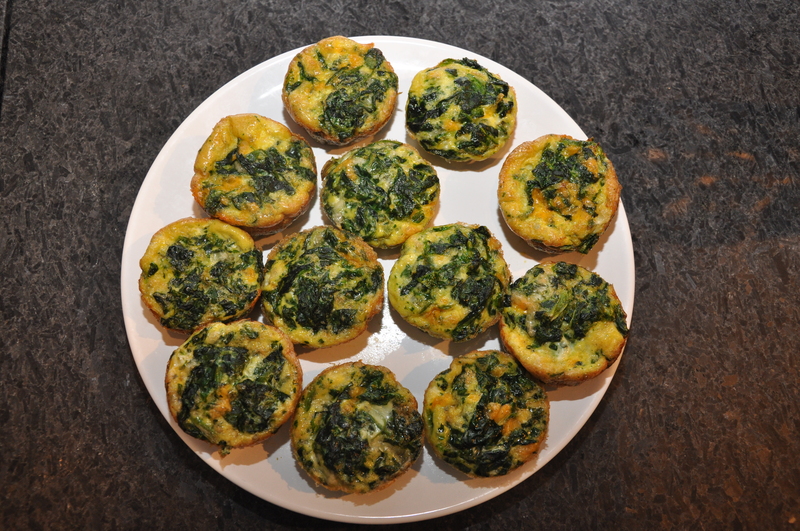 Note: Crustless quiches can be placed in a large ziplock bag or individually wrapped and frozen. 2. 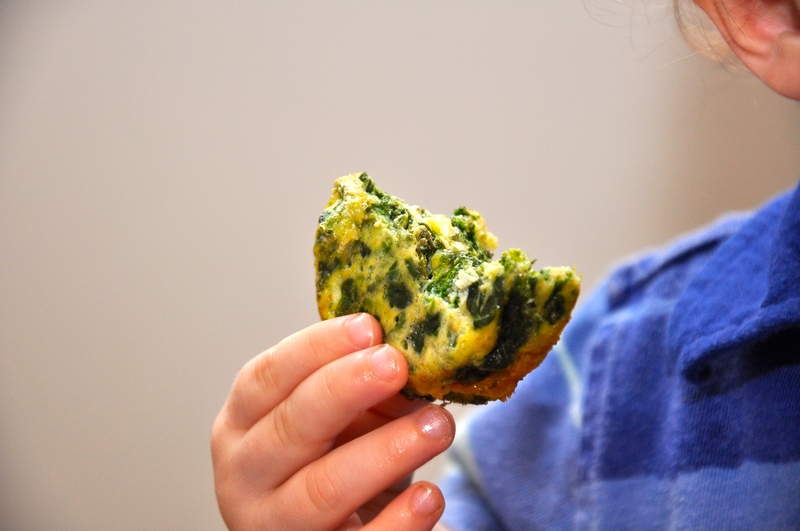 Thaw spinach in microwave and squeeze out extra juice. 4. Spoon mixture into the cupcake liners until 3/4 full. Here is something else to do with ground turkey that is oh so flavorful! 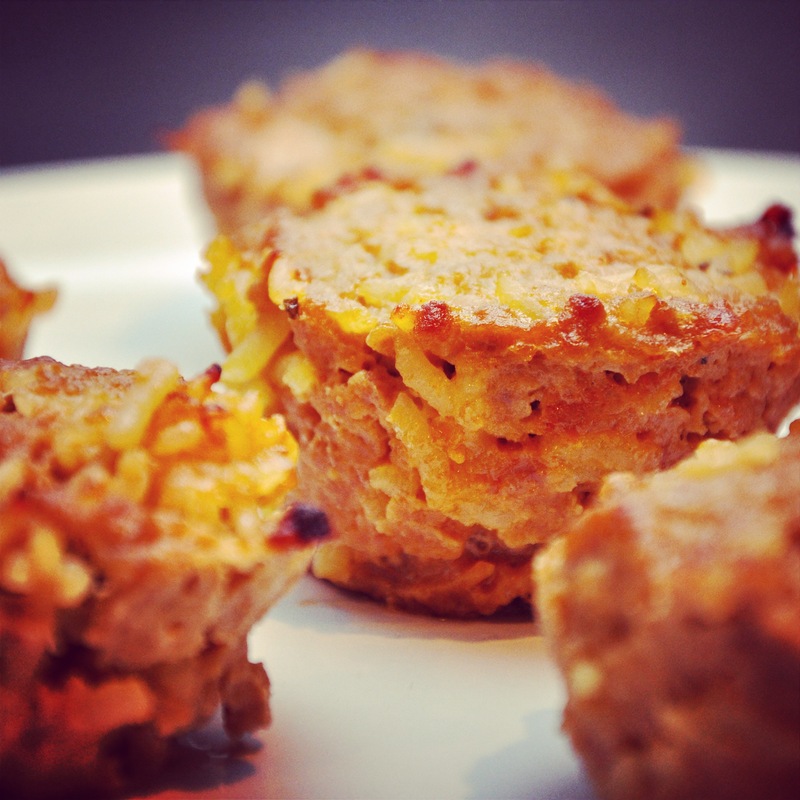 These healthy muffins are super moist and have a special Thai kick. TheThai flavors are delicious and the muffins are perfect for reheating at lunchtime. Although my kids were doubtful at first, after the first bites, they approved. My husband had seconds and asked for a “doggy bag” to bring to work the next day. 1. Preheat the oven to 400 degrees. Coat 12 muffin-pan cups with nonstick cooking spray and set aside. 2. Combine turkey, rice, seasoning, coconut milk, peanut sauce, and sesame oil, and mix thoroughly with hands. 3. Distribute turkey mixture into the muffin-pan cups and press into mixture with back of spoon. 5. Serve with peanut sauce.